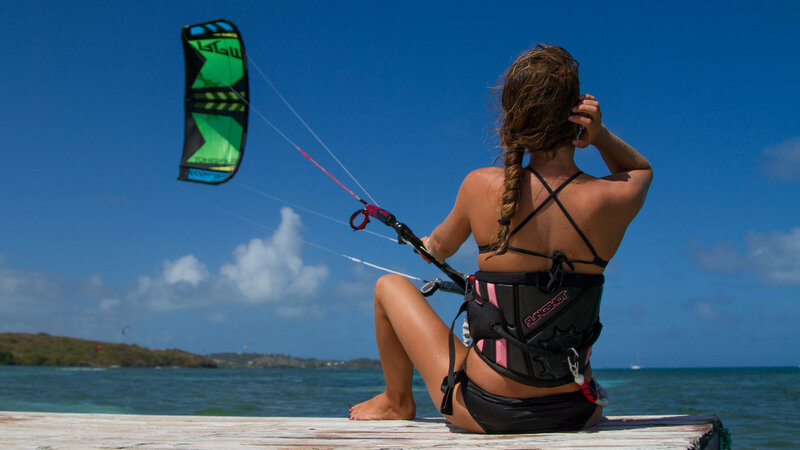 Get All 5 Of My Top Hacks You Can Do RIGHT NOW To Improve Your Kitesurfing. They're FREE and you don't need wind to do them! Learn The Secret To Ripping Harder, Jumping Higher and Progressing Faster. As used by Kitesurf professionals, NASA, Special Forces & Elite Athletes. One thing we know as kitesurfers all too well. For many lack of wind or an inability to pair up their free time with a time when it is windy, is the single, biggest problem they have with kiting. For us it is an opportunity. Just because the wind isn’t blowing doesn’t mean you can’t be improving. In fact these days I find the days of no wind the most valuable days I have in terms of actually progressing in my kitesurfing. For years I used simulation, as a way of improving my kiting on days of no wind. I’d practice something over and over again either in my head or actually step through it, until I had it perfectly. I’d combine this with endlessly scrutinising (in minute detail) You Tube video’s of whatever it was I was trying to learn, to get it absolutely clear in my head, in an effort to be absolutely prepared once I got on the water, so I’d be able to blast my next trick. I would run through the move time and again and again and again. When I was out on the water I would re run it in my head just before I attempted it paying really close attention to what I was doing, often recording what I was doing at the same time for later analysis. One day I was watching the Tim Ferriss Experiment. For those of you who haven’t seen it, this is a show where Tim sets himself a ludicrously difficult skill to learn in an amazingly short space of time to fulfil some challenge at the end of the show. For example, learn to play the drums and then appear on stage with Foreigner at a live gig 3 days after first picking up a set of drum sticks. That was it, nothing profound, no life changing, amazing advice…or so I thought at the time. It slowly dawned on me, this was actually insanely good advise given what we know about the peak performance state. The flow state, as it is called, is the state you sometimes go into where every action is effortless, where one movement flows perfectly into the next, where time dilates and you feel godlike, totally caught up in the moment. It is also the ultimate human performance state where we are performing and crucially for us, learning at 350% beyond our normal capacity. It leaves us feel amazing and has huge long term benefits for health, longevity and quality of life. What’s the interesting thing about this state? It’s an intensely focussed but intensely relaxed state. I looked back on my efforts trying to push my kiting and realised I had been anything but relaxed. I had been so concerned with trying to get all the movements in place in perfect order, with perfect timing, all whilst recording the damn thing. Ii’d left me so stressed out it was impossible to get anywhere near a flow state. This is a very common problem. We are taught from birth, that if we just try hard enough we will get there, that the secret to success is hard work, that if we put in the hours and keep banging our head against a brick wall, we will start to make progress. When we are having fun we relax, we focus and we live in the now, all pre requisites for accessing the flow state. As Don Draper of madmen (fictional character maybe, but flow hacking expert for sure!) said when asked how he comes up with such amazing advertising campaigns, he replied…. The period of simulation, of intense study, even of messing up when we practice for real, forms what we call the struggle phase. This is the time when we are training our body in the bio mechanics of the skill and laying down the neural pathways that will enable us to perform effortlessly. However, once we get on the water we have to forget about all this, to hand over to instinct and trust this struggle phase has given our subconscious what it needs, and it now knows what to do. This allows us to relax into a flow state which is where we make these exponential leaps in performance and learning. I have since seen this time and time again in my own training and in training others. As an example, one of the tools we use on no wind days is wakeboarding. The part EVERYONE struggles with is getting out of the water and up and riding on the board. When the boat starts to move and pull you along, the natural instinct is to pull back and try to heave yourself out of the water, when actually, what you need to do, is allow the boat to pull you effortlessly out of the water. Trying to transmit this concept at times can be nigh on impossible, so having given a person all the instruction they need including detailed explanations, video examples and dry runs on land. We now tell them to forget it all, plaster an idiot grin on their face and think about dolphins or baby chickens or something equally warm and fuzzy that inspires them to relax. Since using this technique we have a 100% success record at getting people up on their first session. Before hand we were lucky if we got 30%. Over the years I’ve noticed the most common problem we see people have is aligning their (normally short) periods of free time with the wind. Because of this it means you have to be 100% prepared when there is wind to make the most of your time on the water. There are several easy things that you can do when you're off the water to make sure your time on the water is as much fun as possible. These things are so common I made a cheatsheet detailing them all. Tantrum Kitesurf, Apartados Correos 181, Tarifa, 11380, CADIZ, Spain.